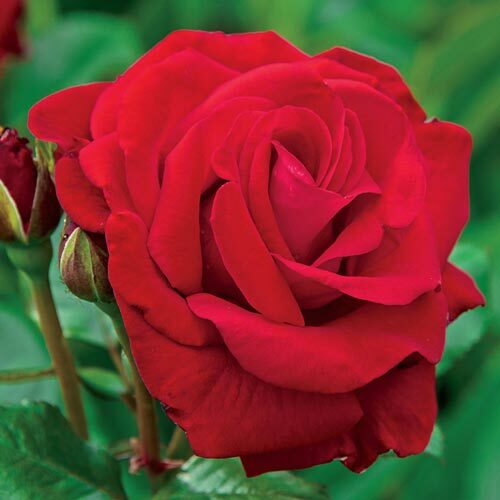 Drop Dead Red Floribunda Rose | Gurney's Seed & Nursery Co.
Long stems provide a bouquet in just one snip! A stunning, velvety red rose. 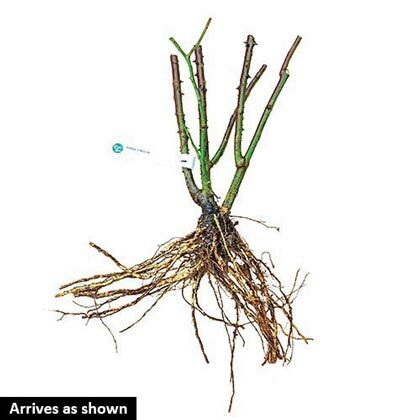 Its medium-large, double blooms and mild fragrance are sure to stop garden visitors in their tracks. Luscious blooms are set against highly glossed, deep green leaves. A medium-tall floribunda with upright, bushy habit. U.S. Patent No. 22571. CommentsRed velvet blooms open with abandon all summer, getting larger and finer with cool weather in fall. Plants are 3-4' tall, upright and densely leaved.